Sexual Harassment is wrong and should not be tolerated in the workplace. Our Award Winning NY Sexual Harassment Lawyer is often asked to discuss how to stop or prevent sexual harassment. Below are some general tips for victims of sexual harassment and how to protect themselves. 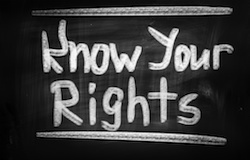 Remember that each situation is different – please call our office to learn your rights and options. Tip 1: Speak Up: One of the hallmarks of sexual harassment is that the complained of conduct must be unwelcome. If two employees engage in consensual sexual conduct or willingly discuss sexual innuendo that does not form the basis of a sexual harassment claim. It is important for you to speak up and explain that the conduct is unwelcome and must be stopped. The clearer you object the better. In some cases where the objection is not clear, employers may argue that the complained of conduct was not unwelcome. Tip 2: Take Notes and Keep Evidence: Some cases involve the sending and receipt of offensive text messages, emails or other pictures. Make sure to keep all of these materials as they are proof of your potential claim and help fight a he said/she said argument. Start keeping diary with notes documenting the verbal comments and all other inappropriate comments. Tip 3: Make a Complaint: Similar to speaking up to the harasser, it is important for you to complain to management about the offensive conduct. You should consult the company’s employee handbook or policies to review the complaint process. Your complaint puts the company on notice of the offensive conduct so it cannot later say it was unaware of the situation. Tip 4: Keep Working Hard: If you quit immediately, your employer could argue it did not have enough time to investigate your claims. Of course, each person’ situation is different and depends on the severity of the harassment. An employee should continue to work hard and perform duties in a responsible manner. If an employer starts to micro-manage you or discipline you for conduct it did not do before your complaint or it does not treat you fairly, you be the victim of retaliation. It is unlawful for companies to retaliate against an employee who complains of sexual harassment. Retaliation can form the basis for a second complaint. Tip 5: Be Mindful of What You Say and Who You Talk To: Be mindful that what you say to your co-workers or the company could later be used against you as they are not necessarily confidential conversations. With that being said, it may be helpful to speak to your co-workers if they have also been victimized. It is important to understand that these are general tips and that everyone’s situation is unique. You should consult with an experienced employment lawyer to learn your rights and options. These cases can be delicate and time sensitive so it is important to speak with employment law counsel as soon as possible.